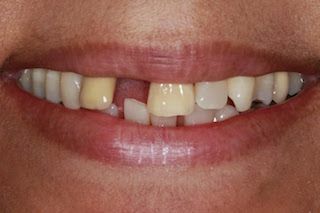 Having a mouth full of broken, deteriorating teeth can be painful and cause issues when eating. 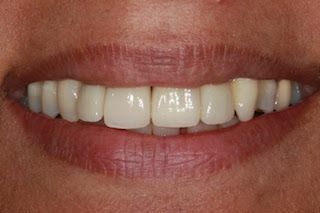 Dental implants can be used to replace all your teeth on one or both jaws, restoring your ability to eat with confidence. 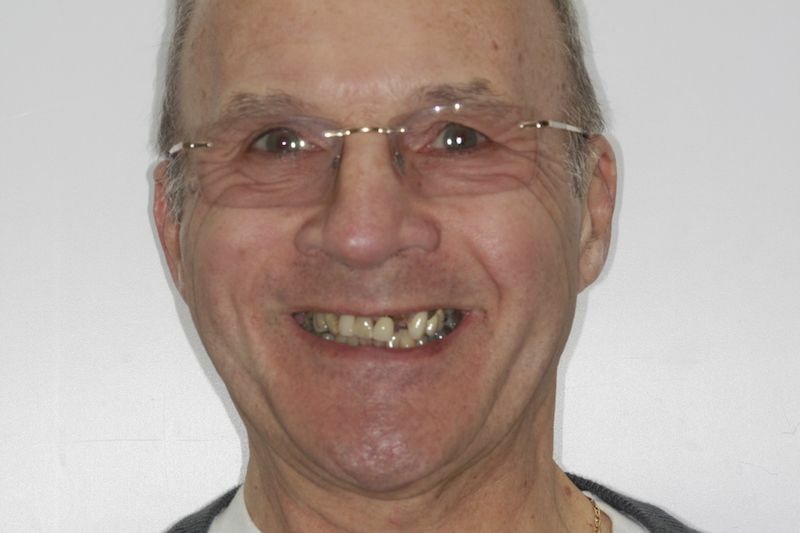 Some of our dental implant patients share their stories of how a dental implant was used to replaced missing or failing teeth. 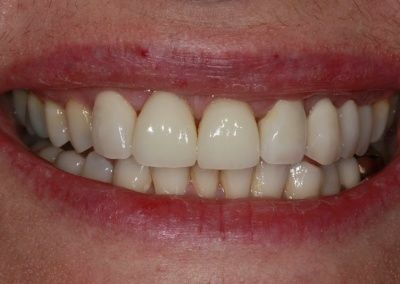 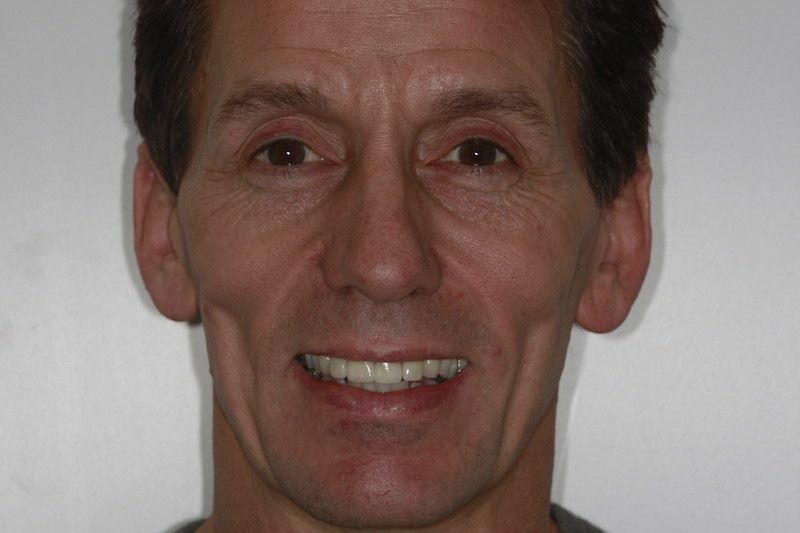 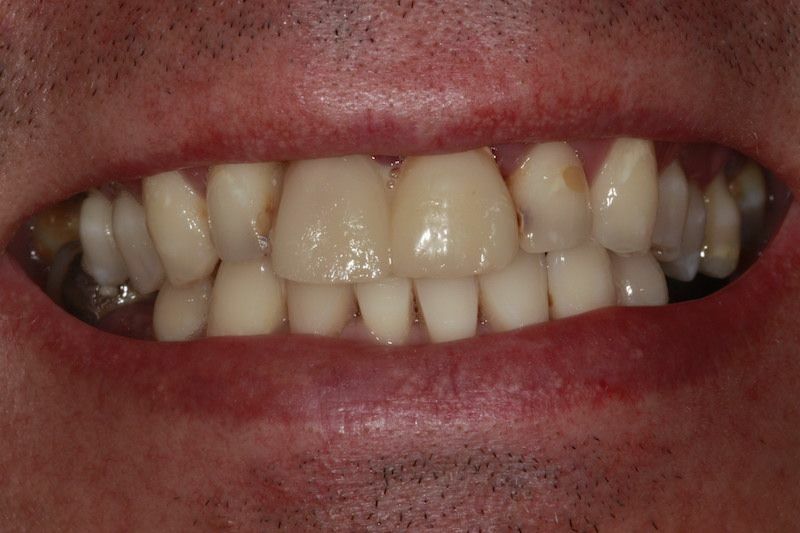 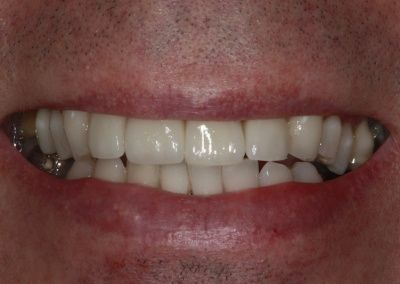 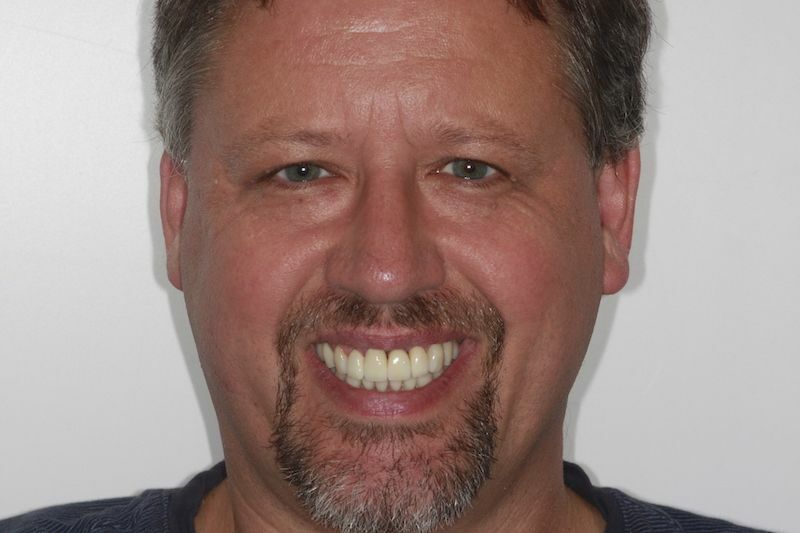 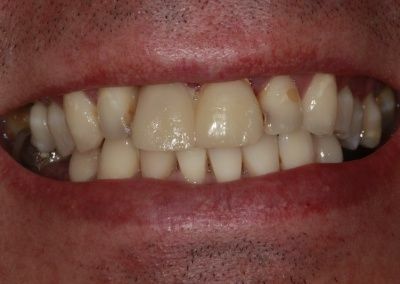 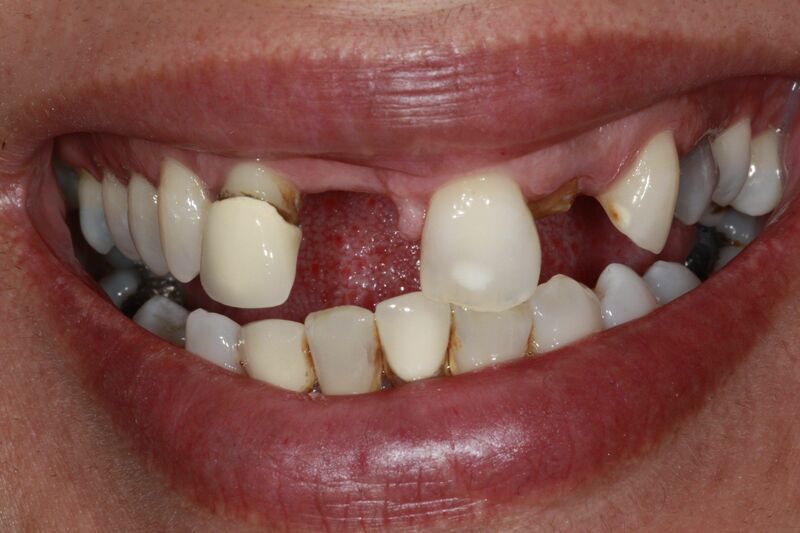 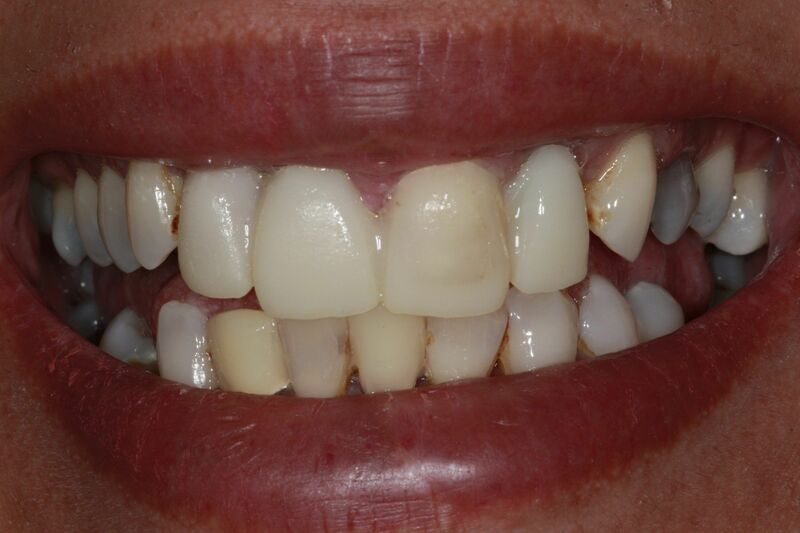 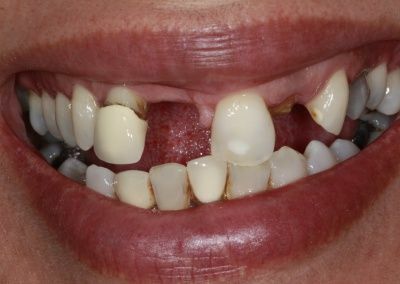 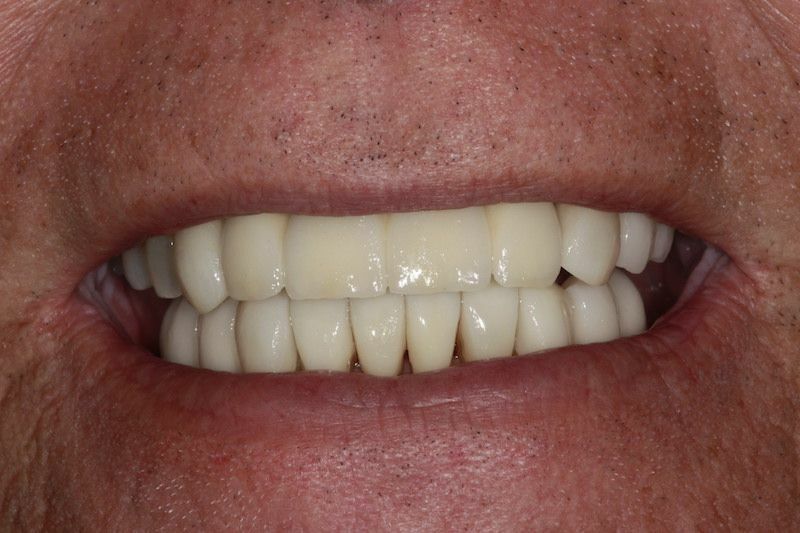 Treatment: bridge and gap replaced with dental implants and cosmetic crowns and veneers. 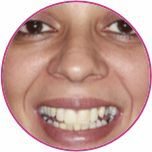 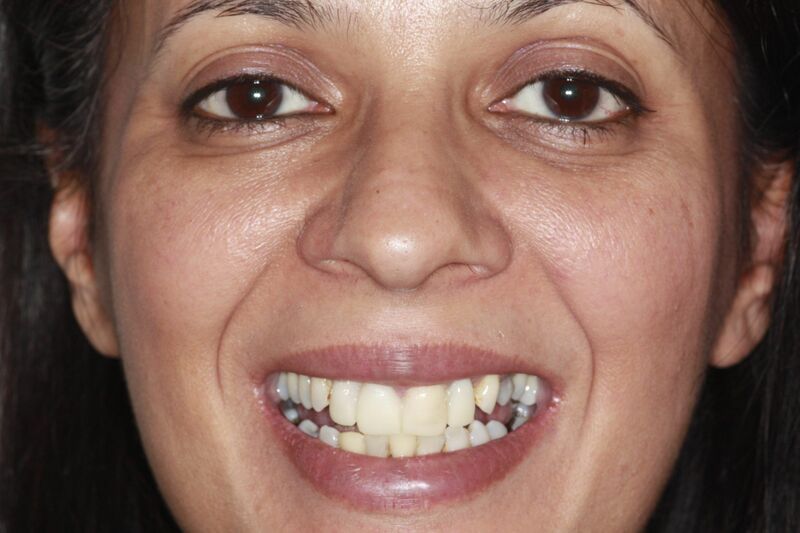 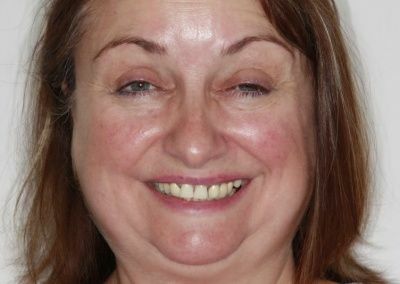 Joanne had a gap at front of her mouth as well as a failing front bridge and poor appearance of her front teeth and crowns affecting Joanne’s smile and confidence. 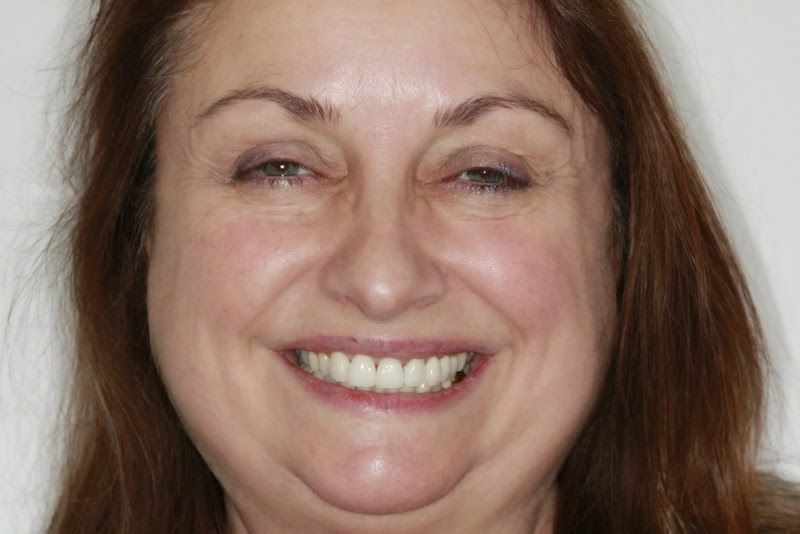 After treatment with dental implants and cosmetic crowns and veneers Joanne feels so much more confident smiling and having photos. 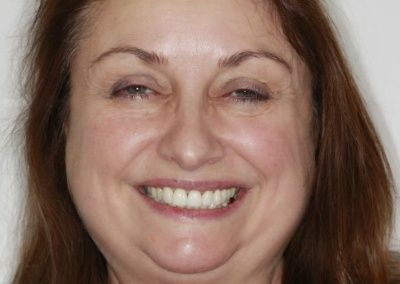 Kulbinder visited Parrock Dental as she was unhappy with the overall appearance of her smile and this was affecting her confidence. 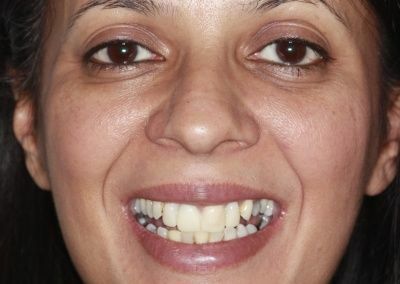 She had a denture for the missing teeth but did not like this as it was uncomfortable. 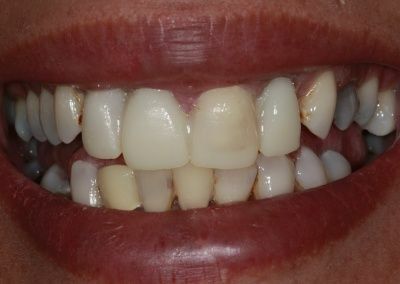 She also did not like the appearance of her teeth and crowns as they did not look like her natural teeth. 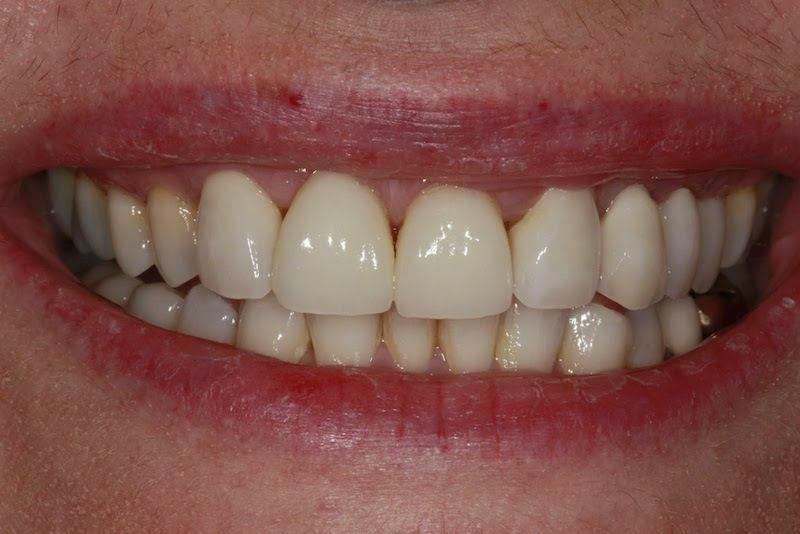 She opted to have Dental implants to fill the gaps and also some cosmetic teeth whitening and porcelain veneers to improve the appearance of the other teeth. 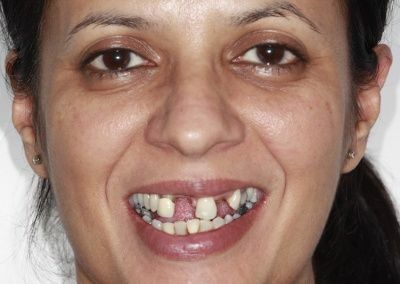 and overall smile She was over the moon with the results. 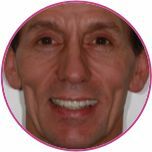 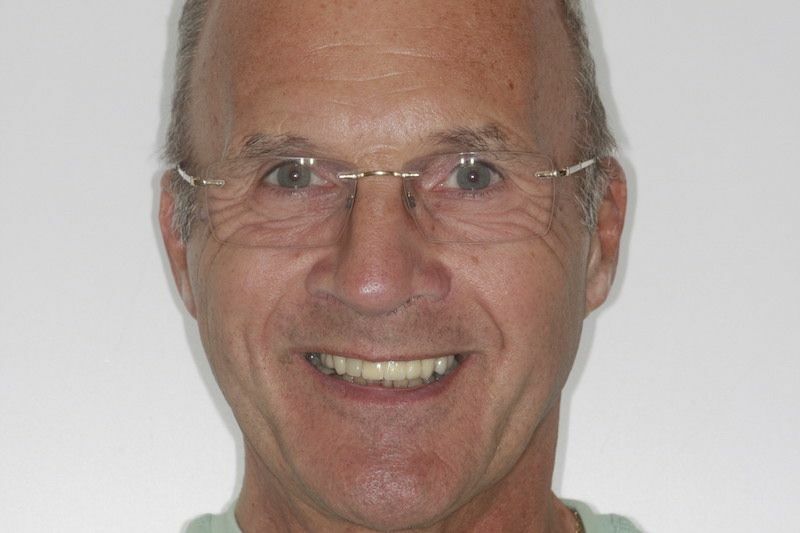 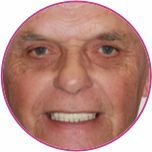 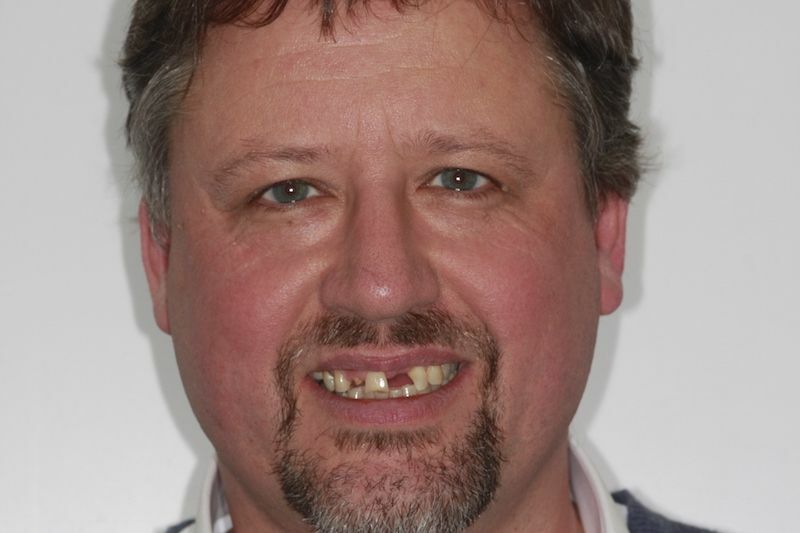 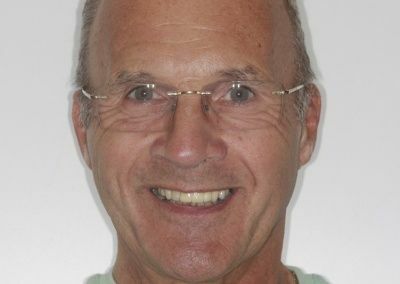 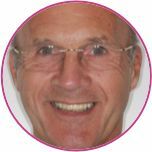 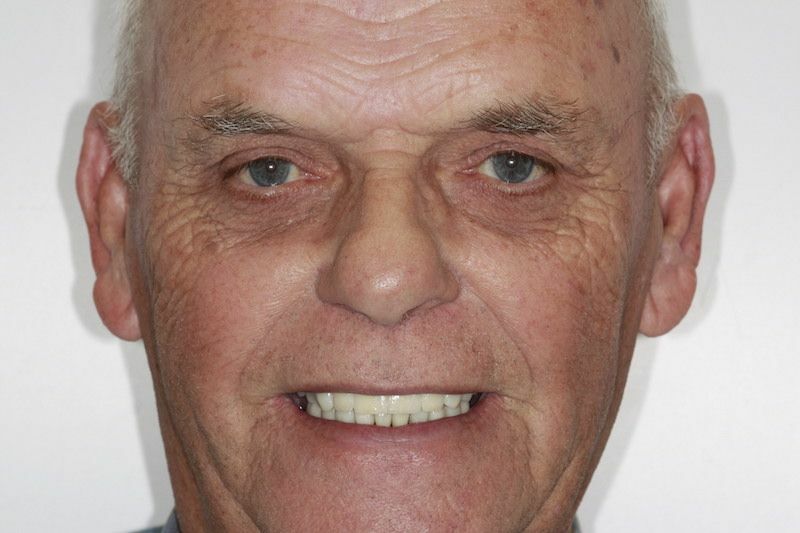 Roger is a long standing patient at Parrock Dental, and had been visiting Dr Trivedi regularly for sometime. 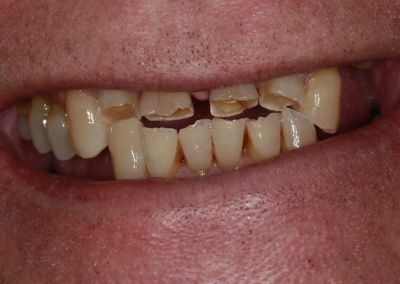 He came to the practice presenting with a crown which had broken off at the gum line, and another crown which was ill fitting and causing him some problems. 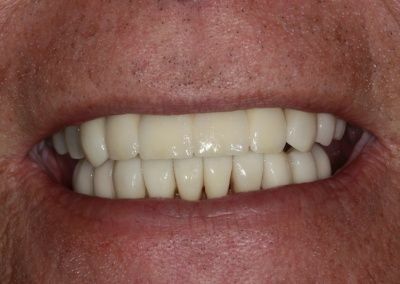 as well as a loose denture. 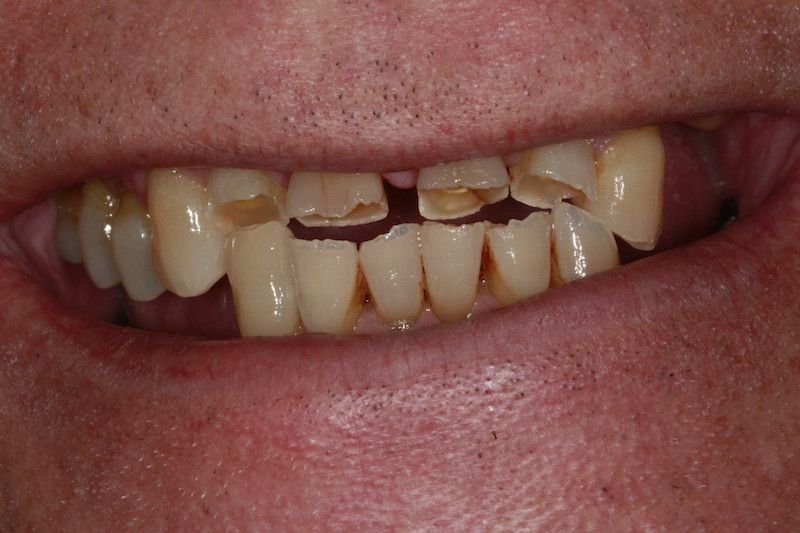 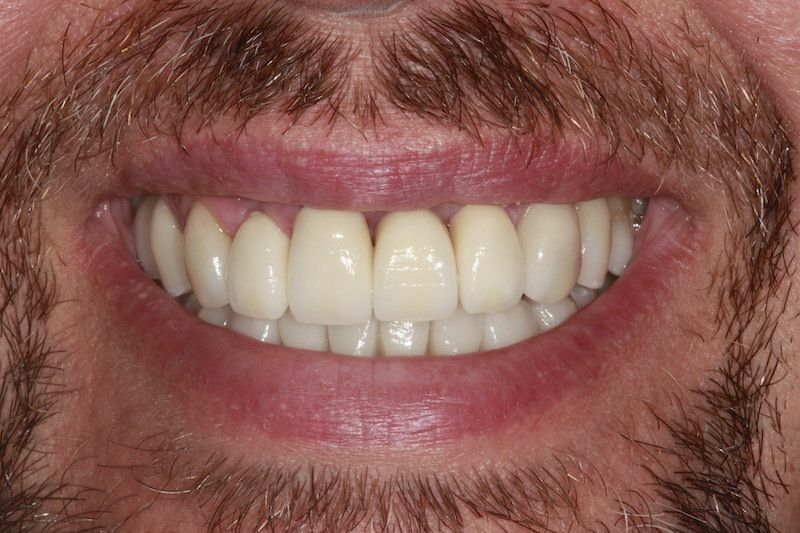 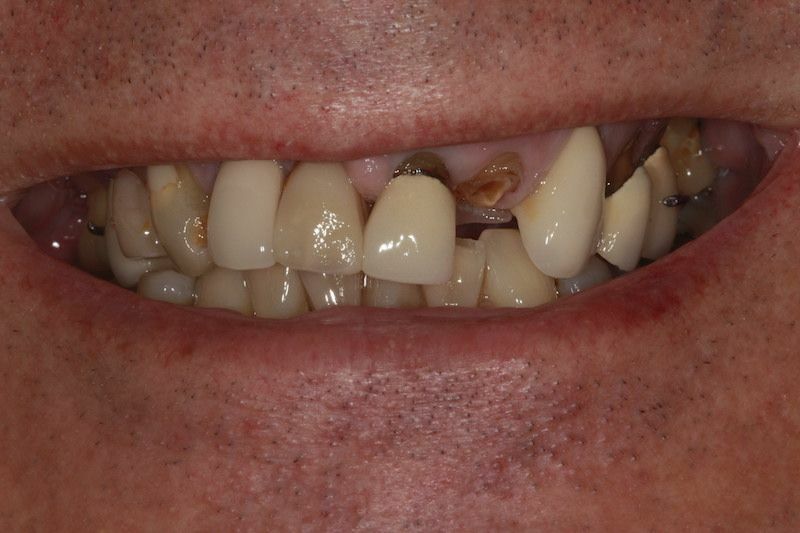 He opted to replace these problem teeth and the denture with dental implants which restored the appearance of his smile and in turn his confidence. Terry came to Parrock Dental after his wife had suggested he got a new smile for their 50th Wedding Anniversary. 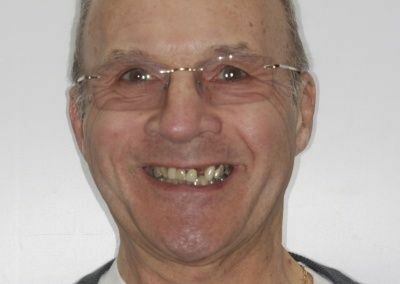 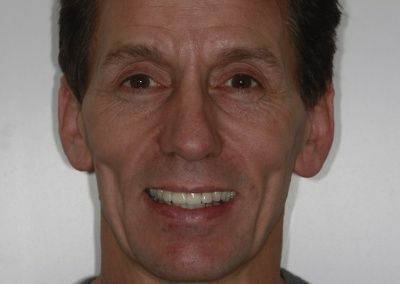 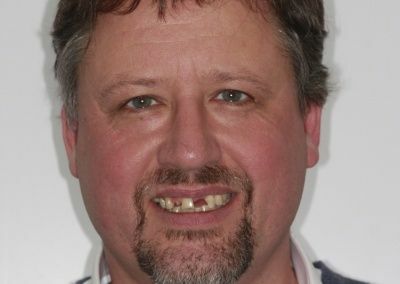 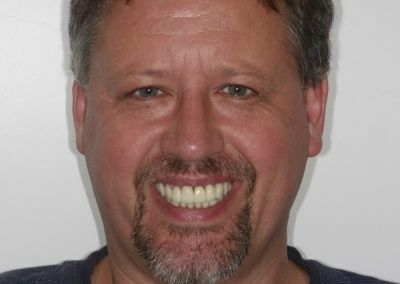 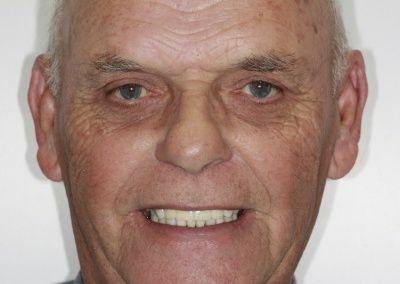 He came to Parrock Street and discussed all his options and opted for a combination of dental implants to replace missing teeth and restore function, and veneers and crowns to improve the overall appearance of his front teeth. 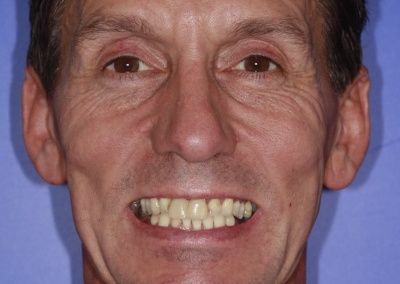 He was really please with the results, and could smile at his anniversary celebrations with confidence. 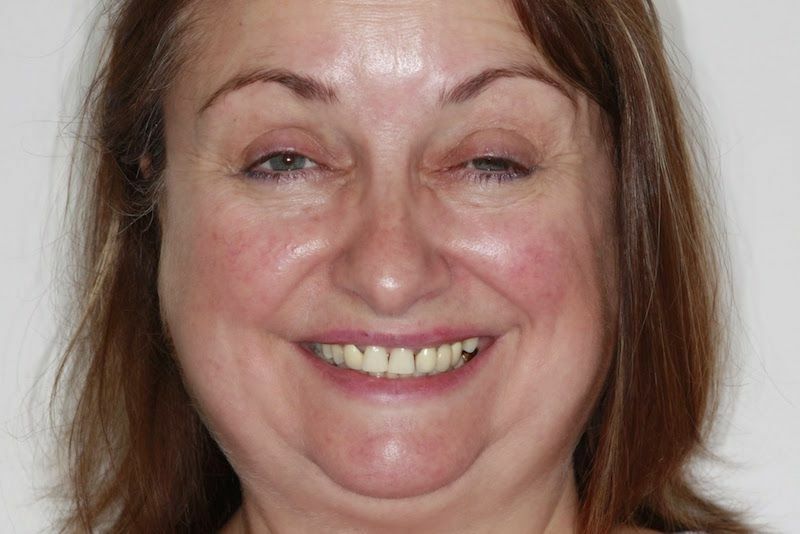 Beverley visited Parrock Dental looking to improve the appearance and chewing of her failing and very loose top front crowns. 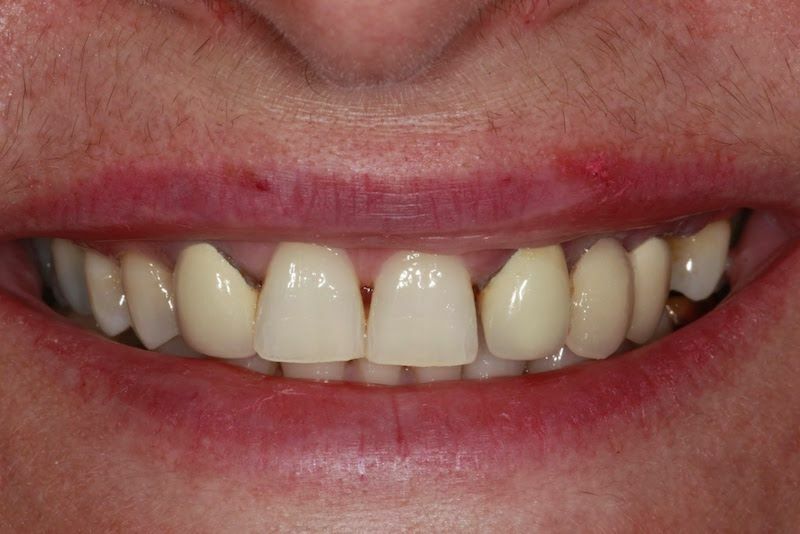 She was very unhappy with the look of her smile as her gums were receding and the crowns were becoming noticeable so She would not smile and spoke to people covering her mouth. 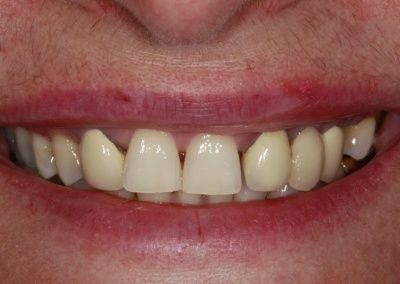 She opted to have dental implants retained bridge on her upper front 4 teeth and was overjoyed with the results. 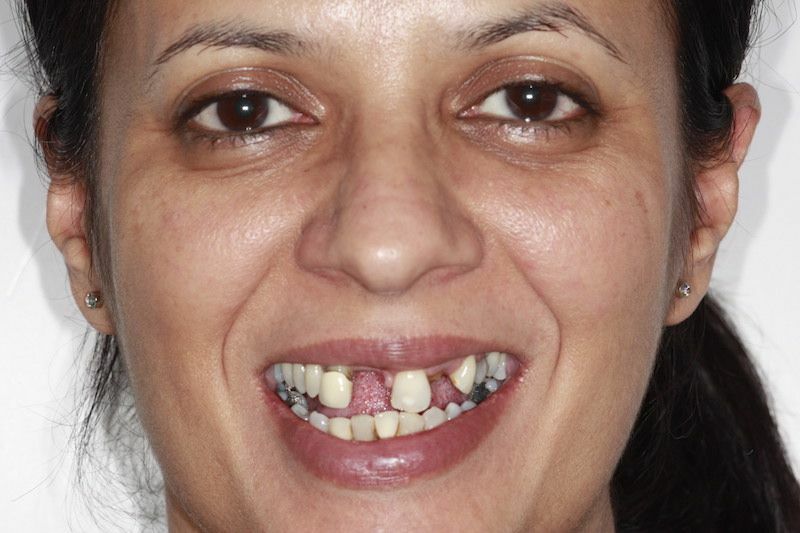 She would definitely recommend having dental implant treatment to others. 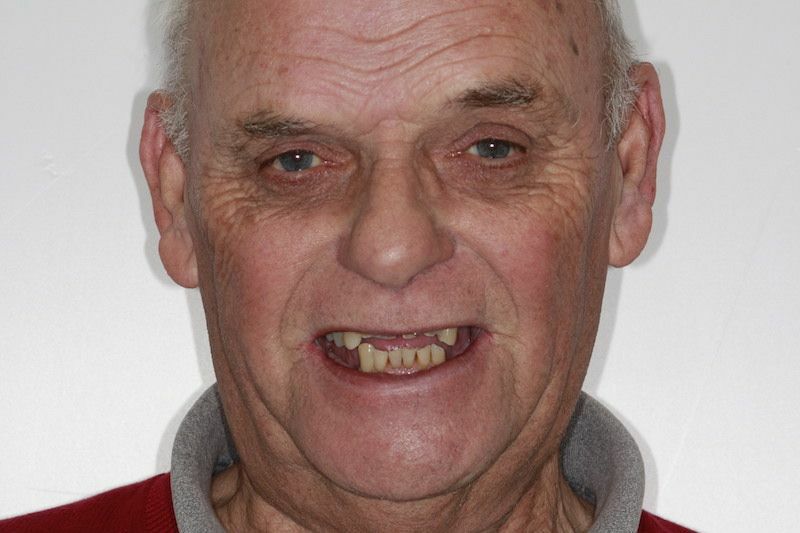 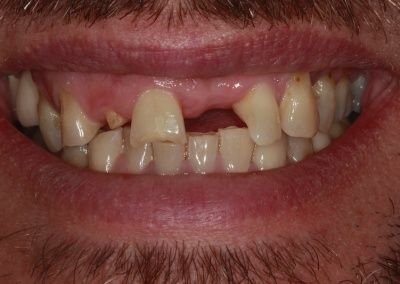 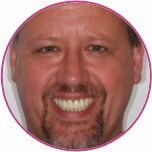 Paul was a keen sportsman and unfortunately had damaged his front teeth playing football. 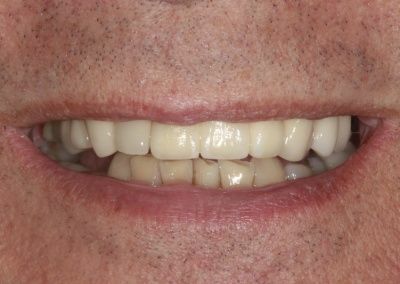 He required a bone graft and dental implant treatment to improve the appearance and restore the function of his teeth. 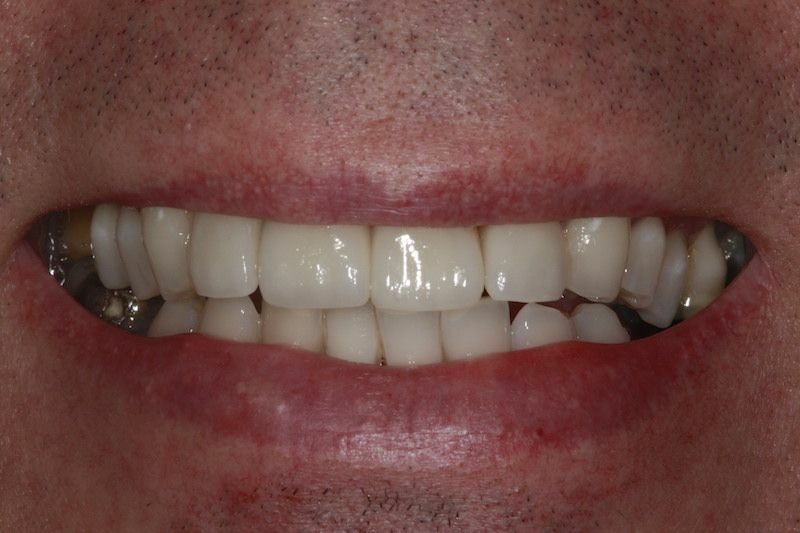 He was extremely nervous but was overjoyed with the results and surprised how easy and pain free it was.